Did you know if your church is a 501c3 church, this means your church places the government OVER YaHuWaH! "Pastor IS THIS A 501c3 Church?" 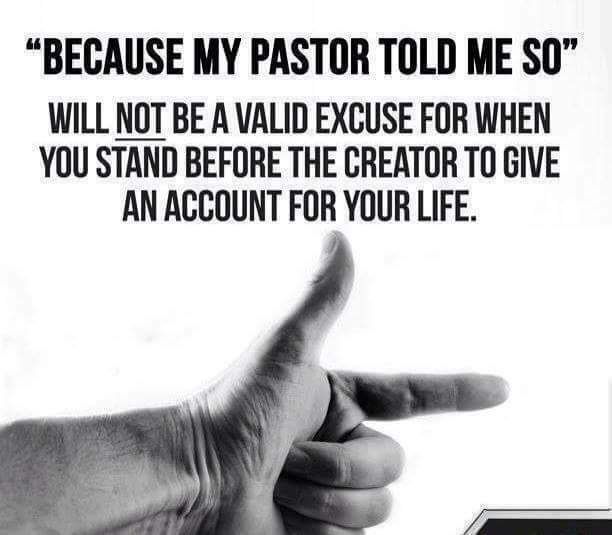 If your Pastor says Yes.... RUN OUT of that harlot Church! and was presented to the churches as a favor, (bribe) BUT it came with a VERY hefty price! 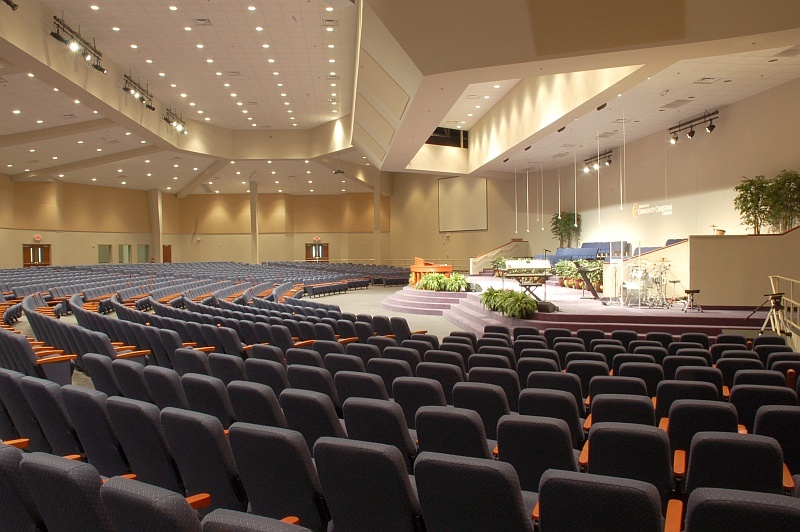 When churches start, they ALL file under the 501c3 tax code, but until certain criteria and paper work are net and filed, they cant receive the full benefits of the 501c3 tax code. When a church fully files for 501c3 status that church now waives its freedom of speech, waives its freedom of religion, waives its right to influence legislators (and the legislation they craft), waives its constitutional rights, and is no longer free to speak to the vital issues of the day. They are now controlled by a spirit of fear that if they don’t comply with the IRS, they will lose its tax-exempt status and will become a State-Church. 3. Say or publish anything negative about ANY politician, Republican or Democrat. 4. Criticize government agencies and bureaus – the IRS, FBI, BATF, CIA,EPA, DEA, OSHA, DOJ, etc. 5. Criticize an institution of government such as the White House, the Congress, the Federal Reserve Board (even though this is a PRIVATE corporation) or the Supreme Court. 6. Encourage citizens to call or write their congressman, senator, governor, mayor, or other public official. 7. Criticize any proposed or pending bill or legislation that would take away the rights and freedoms of the people. 8. Make disparaging remarks about, or criticize, any other faith group, cult,or religion. 9. Expose or criticize the New Age Movement. 10. Support or encourage a law-abiding citizen’s militia (even though this is constitutional). 11. Support or encourage the Second Amendment, the right of the people to keep and bear arms. 12. Discourage young women from getting an abortion, or endorse the pro-life movement. 13. Teach that abortion, especially partial birth abortion, is murder and is the killing of innocent babies. 14. Identify homosexuality as a sin and an abomination to God. 15. Express an opinion on any subject or issue. 17. Discuss or identify threats to Christianity. 19. Criticize well-known public figures or institutions the IRS deems “worthy,”such as the super-rich elite, international bankers, the Hollywood movie industry, etc. 20. Publish or broadcast information on any topic without giving credence to the opposing viewpoints of Christ’s enemies. 21. Publish and offer books, tapes, or products that expose the elitist plot against humanity and God. churches are permitted by the IRS to criticize the Catholic Church). 23. Criticize the United Nations or such globalist groups as the Council on Foreign Relations, the Bilderbergers, and the Trilateral Commission. 24. Criticize the Masonic Lodge, the Order of Skull & Bones, or other Secret societies. 25. Highlight or otherwise bring attention to immorality of public officials or corruption in government. 26. Complain of government wrongdoing or injustice, such as happened at Waco, Ruby Ridge, and elsewhere. 27. Criticize the Jewish ADL or other Jewish lobby groups. 29. Support home schooling, home churches, or unregistered churches. 30. Spend money on missionary projects or charitable causes not approved by the IRS. 31. Promote or encourage alternative healthcare (herbs, vitamins, etc.). 32. Expose false teachings of any kind by anyone. 34. Ordain a pastor whose training or qualifications are not approved by the IRS. 37. Have “IRS approved code of doctrine and discipline”. 40. The IRS must be privy to “all financial transactions” of the church. 41. Pastor must supply “names of all donors” – make books, records available. 42. Be neutral on political issues. 43. Be engaged in activities furthering exclusively public purposes. 44. Open its services to the public. 46. Not publicly oppose licensing of church ministries. 47. Give unlimited submission to civil magistrates pertaining to all laws –federal, state, and local – including public policy. 48. May only use “IRS approved” fundraising methods. This is exactly WHY the Babylonian christian whore churches WILL NOT teach the truth! Further research dug up former christian pastors giving their testimonies saying that the IRS would send sleepers in the congregation to make sure that their organization was being 501c3 compliant. Churches even tell you that you can get a write off on your tithes! So give to "God" knowing you can get something back on your taxes, TOTALLY ridiculous!!! Are Christians to give cheerfully and NOT to expect back, then why are they giving? Study and research has uncovered that Black churches, in aggregate, have collected more than $420 billion in tithes and donations since 1980. WHERE IS ALL THE MONEY GOING??? This is just a very short list but you can use the following links to get this information for 1000's of churches globally. "God doesn’t only want faithfulness in deeds and actions, but finances as well. Don’t miss the opportunity to show God that you trust him in the monetary realm of your life as well." CLICK on the wallet to get the FULL Teaching on what the scriptures and YaHuWaH has to say about tithing!